After a life-transforming youth orchestra experience, Tina went on to study at the world-renowned Guildhall School of Music in London, England, and then played principal flute in the Tenerife Symphony Orchestra for four seasons. After a sabbatical at the Banff Centre for the Arts, she moved to Ottawa, where she played with all the established orchestras and festivals including the National Arts Centre Orchestra and the Ottawa Chamber Music Festival. In 2007, motivated by her passionate belief in the transformative power of youth music, Tina visited Venezuela to research El Sistema. 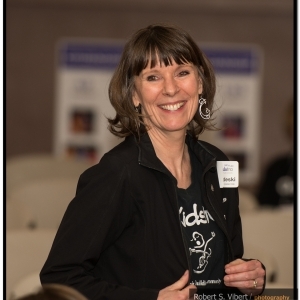 Soon afterward, she and co-founders Gary McMillen and Margaret Tobolowska (former NACO cellist) founded OrKidstra. As Executive & Artistic Director of OrKidstra, Tina has received the Peace Award (2011), the Leading Women/Leading Girls, Building Communities Award (2012), the Canadian Institute for Child Health Leadership Award (2012) and is recognized as a “Kickass Canadian.” In 2017, the Right Honourable David Johnston, Governor General of Canada, awarded Tina Fedeski the Meritorious Service Medal for creating the OrKidstra program.